It seems that there's a rating for everything these days, and HVAC systems – and AC units in particular – are no different in this regard. These units are rated through something called SEER, short for Seasonal Energy Efficiency ratio, and it can play a pretty big role when deciding which system to purchase. With SEER ratings, bigger is usually better, but with a few exceptions. 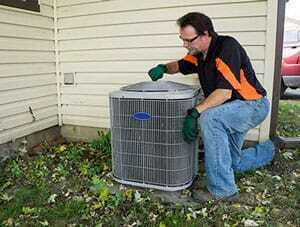 In general, the lower the SEER rating, the less expensive the AC unit will be. Why? Because the manufacturers know that the people using the unit will end up paying a pretty penny for only moderate cooling capabilities. 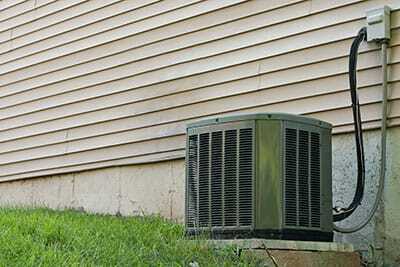 Conversely, a high SEER rating means your AC unit will need less to do more. An AC unit with a high SEER rating will expend significantly less energy for similar cooling capabilities to that of a lower-rated unit and, in some cases, even outperform it. So why wouldn't you always go for the AC unit with the highest SEER rating? It sounds nice in theory, but in truth, the differences in prices between AC units can be tremendous, and there might not be a need for you to go overboard. Why buy an ultra-expensive AC unit with a high SEER rating if you are only going to be using it occasionally? The SEER rating your AC unit has should be based on how often you plan on using it, which in turn depends on how hot the summers get. The high-price energy-efficient AC unit is probably going to be wasted if you only turn it on a few times a year. On the other hand, saving money on the unit itself is a bad idea if you plan to use it frequently – you'll end up spending way more over the long run. There's also the issue of how long you plan on living inside your current residence. If you're planning to move within the next few years or even sooner, installing a top-of-the-line HVAC system with a high SEER rating probably isn't a good investment – it's going to increase the value of the home, but you can probably put the money to better use. SEER ratings can get confusing, which is why Boerne Air Conditioning Experts are here to help you choose the perfect unit for your home. Choosing the right unit involves making multiple measurements and assessing various factors, from evaluating the overall energy expenditure of your home to taking note of the climate in your area. If you already have an AC unit but are unsure of its SEER rating, check the back for a singled-out number that ranges from around 8 to 15 – this number is the SEER rating of your device. If your AC unit only has a SEER rating of 8 or under yet you find yourself using it day in and day out, it's high time to make some changes to your HVAC system. Sure, a high-rated AC unit isn't cheap, but it's an investment that should pay off in no more than a couple of summers of heavy AC use.